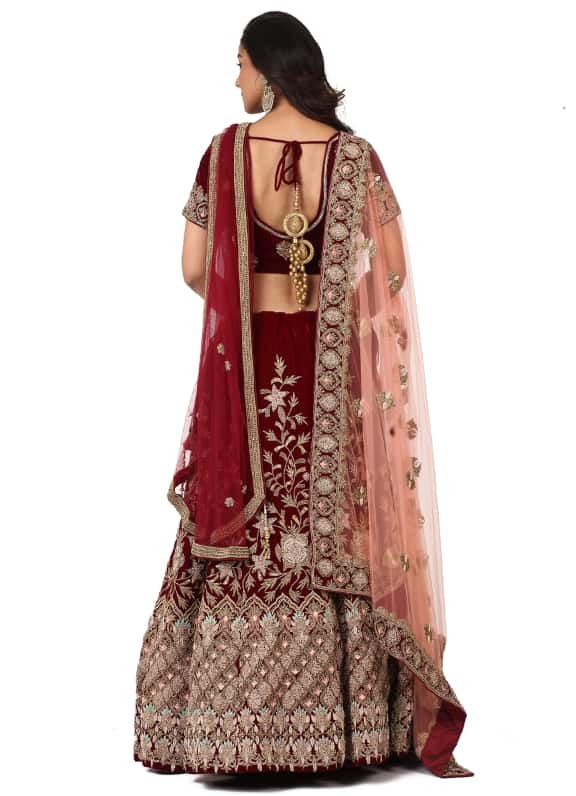 This maroon lehenga comes with two dupattas and a velvet blouse and skirt featuring heavy cutdana and sequins work. 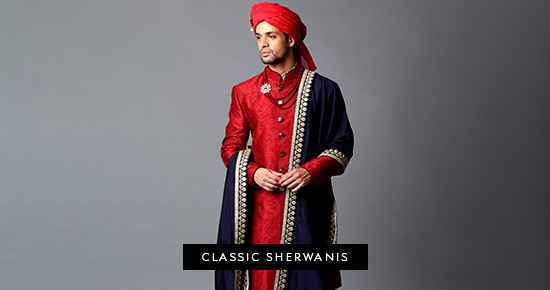 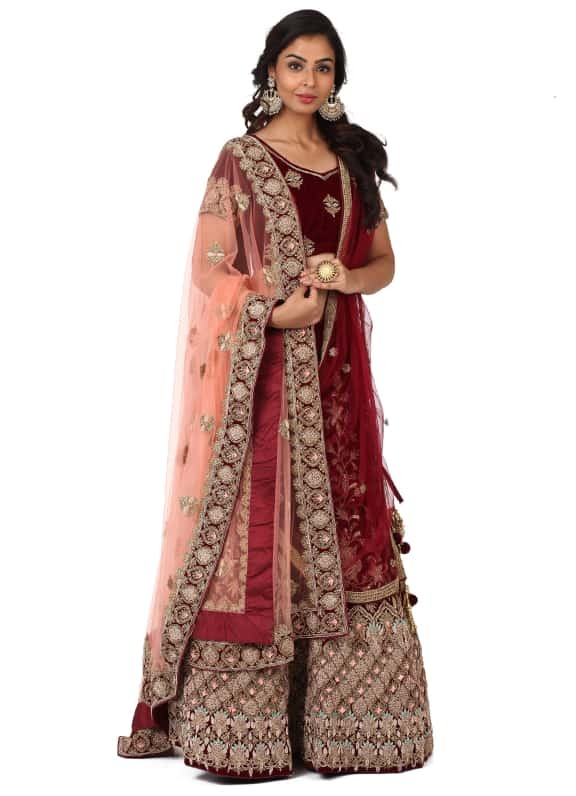 It is paired with a maroon and peach dupatta. 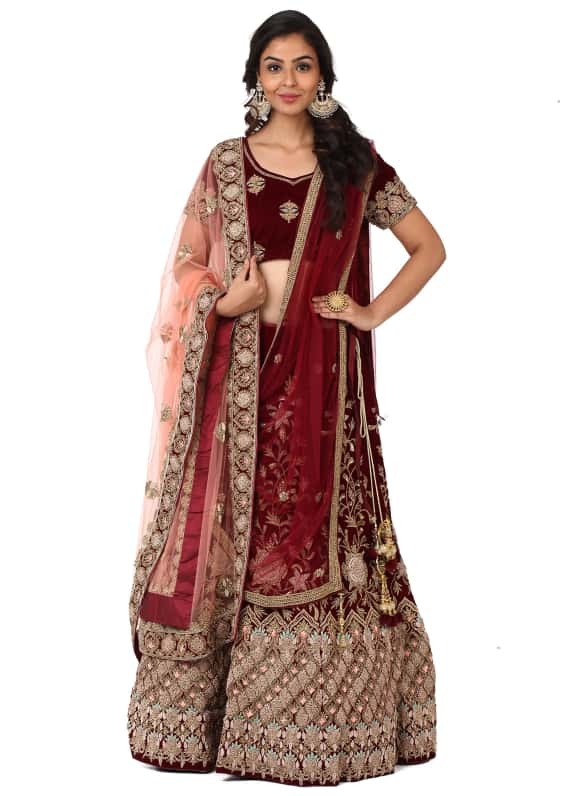 This deep wine lehenga makes for the perfect outfit for your sister's wedding. 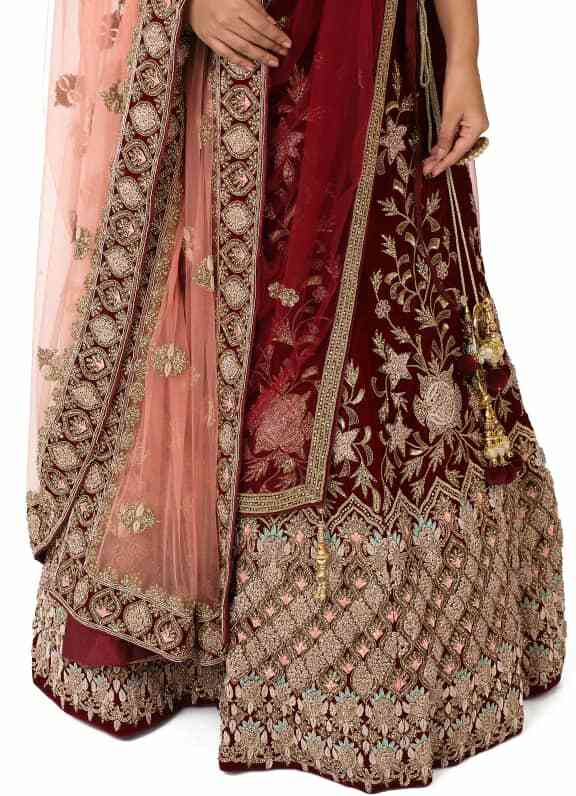 Style your look with a pair of Amrapali earrings and an Amethyst ring.